Central Truth: God grants us glimpses of heaven to encourage us as we continue to grow and serve Him. Question: What are the +’s and -’s of being satisfied with our walk with God? 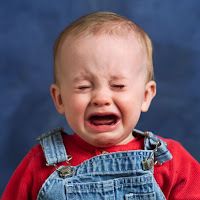 For some reason, that old song by THE CLASH, “Should I Stay or Should I Go” came to my mind when preparing for tonight. Many of us here have experienced a glimpse of what heaven will be like. During the DNOW Caswell retreat, many felt the presence of God’s power in their lives. Even those who did not attend can relate to that feeling of knowing God’s presence at a specific time. For example, when someone prays to receive Christ as their personal Savior (Forgiver) and Lord (Leader). Our temptation is to want to “stay” in that “place” for as long as possible. Who could blame us? We as humans are “wired” for worship. Should we stay in that moment or go find what other blessings God has in store for us? Everyone was built with a God shaped void and a desire to place our affections upon something more powerful than ourselves. As Christians we know that power to be God, anything else is an idol. Non-Christians seek to worship created things rather than the creator. Trees, Earth, Animals, Relationships, Celebrities, Drugs, Alcohol, etc. Some of these things are not bad in and of themselves but when they take the “center piece” of our life, that’s where trouble begins. While growing up, I have experienced many things that have altered my mood and given me temporary satisfaction, but NOTHING has compared to experiencing a saving, living relationship with Jesus Christ. I have not had a perfect life, but I have learned to never be satisfied with where I am at a specific moment. Satisfaction helps to confirm the ways God is moving in my life but if not dealt with can become the very reason I refuse to grow. Illustration: I really enjoy driving our truck out on the North End of Carolina Beach. Beyond the fear of getting stuck, I love when I can put the truck in park and know that I have “made it”. Whether I stay in the cab, drop the tailgate and have a meal, or play in the water, I am happy and satisfied to be on the beach. However, if I stay in that place of “Satisfaction” I will eventually get hungry or sun burnt. I know at some point I have to leave to get rest, shelter and nourishment. We all experience those times of Satisfaction in our walk with God, but the trap is to think we can A) Stay There or B) That all our troubles will go away. How powerful would God be if He could reach out and touch us through weekends like DNOW Caswell but not give us the strength to handle the problems that brought us there and are waiting for our return? The danger in being “Satisfied” is never fully becoming who God wants us to be. 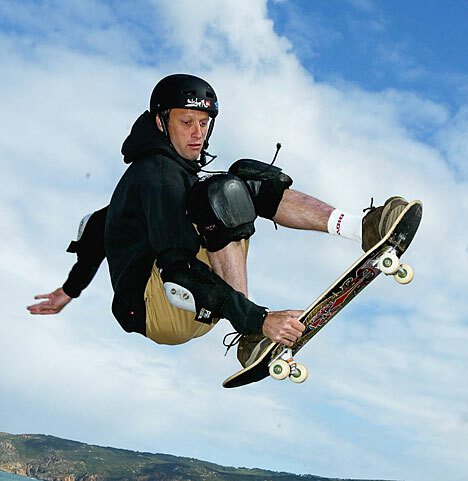 If Tony Hawk would have been satisfied at 10 years old to do that one trick, where would the world of skateboarding be today? 1After six days Jesus took with him Peter, James and John the brother of James, and led them up a high mountain by themselves. 2There he was transfigured before them. His face shone like the sun, and his clothes became as white as the light. 3Just then there appeared before them Moses and Elijah, talking with Jesus. 4Peter said to Jesus, "Lord, it is good for us to be here. If you wish, I will put up three shelters—one for you, one for Moses and one for Elijah." 5While he was still speaking, a bright cloud enveloped them, and a voice from the cloud said, "This is my Son, whom I love; with him I am well pleased. Listen to him!" 6When the disciples heard this, they fell face down to the ground, terrified. 7But Jesus came and touched them. "Get up," he said. "Don't be afraid." 8When they looked up, they saw no one except Jesus. 9As they were coming down the mountain, Jesus instructed them, "Don't tell anyone what you have seen, until the Son of Man has been raised from the dead." 10The disciples asked him, "Why then do the teachers of the law say that Elijah must come first? 11Jesus replied, "To be sure, Elijah comes and will restore all things. 12But I tell you, Elijah has already come, and they did not recognize him, but have done to him everything they wished. In the same way the Son of Man is going to suffer at their hands." 13Then the disciples understood that he was talking to them about John the Baptist. Jesus predicted His death to the disciples for the first time. These were His followers and friends who knew Him best. Peter’s questioning spirit in Matthew 16:22 proves that even Jesus’ inner cirlce did not fully grasp who He was. I love the way Jesus told Peter, “You are seeing things merely from a human point of view not God’s.” Before we judge Peter for his shallowness, let us look in our own lives and find areas where we struggle between human versus Divine views. Do the things we spend money on build His kingdom or our own? Does our time management show to others that serving Christ is important to us? To Peter, Jesus was not making sense. He did not see what Jesus saw. 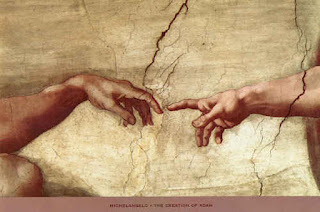 Do we look at our lives through the lenses of human understanding or Divine? (Proverbs 21:2 / Proverbs 19:21 / Proverbs 3:5-6) Jesus goes on to challenge the disciples and us to evaluate what we are willing to sacrifice to follow Him. He lets them know that suffering will be a part of serving Him (Cross = Death), yet the rewards will be worth more than anything we experience here. Jesus decides to teach three of his disciples some deeper truths of who He was. They got to see Jesus’ appearance change. What an honor! How could anything compare to that? I grew up watching the Incredible Hulk. If I had the opportunity to see David Banner transform into the Hulk, I would never forget that. Jesus gave them a taste of His divine nature to prove that whatever sacrifice they have or will make, will impact eternity. We may not get invited to unwholesome parties, rejected by the popular, overlooked by the rich or be as bright as the gifted but in the end, the sacrifice we make of His will over our wants will make a difference in our lives and those around us. During my years in Student Ministry I have logged many miles on church transportation vehicles. I have learned a lot of tricks by taking groups on the road and also where most rest areas are along the interstates in the Carolina's. As Peter suggests building monuments (altars) to Moses, Elijah and Jesus he means well but he’s not thinking it through. What do you think would happen if I told the students, “We have stopped at the best Rest Area in the world? The bathrooms are clean, the vending machines are working and there are plenty of comfortable areas to relax in. I think we should stay here rather than going on to our mission, ski or beach retreat.” They would look at me like I was crazy. 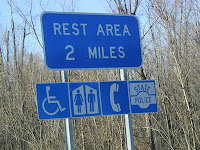 The rest area is not the destination we are traveling towards, it is merely a place to rest, restore, and resume. The greatest trap of student ministry is to base the spiritual depth and effectiveness of its members on events, retreats and trips. If the students are struggling in their walk, lets have a pizza blast. Do the student who always come to Wednesday night need a “get-away”? Lets take them to the mountains. Please listen before you tune me out. Retreats, trips and events are crucial to any ministry, but if we place our hope in them alone for Spiritual growth, they will leave us empty. They are simply vehicles that take the Word of God (Bible) into our lives. They provide an opportunity for us to get away from our normal routine in hopes of seeing God more clearly, but they do not change our hearts and lives, it is Christ, His Word, His Spirit and our obedience that change our lives. To build our Christian walk on anything else will leave us empty as soon as our feet touch the parking lot after a trip. 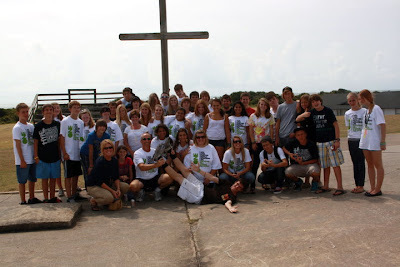 DNOW Caswell was a true blessing for me as a Youth Pastor, Husband, Friend, and Individual. God spoke clearly to me during the worship sessions. I also saw God working in the lives of our teens. I can identify with Peter when he tells Jesus that he wants to stay and build an altar. However, Caswell was a rest area, not my destination. I as well as my students must get back to the “sacrificial cross carrying life” Jesus asks of us in Matthew 16. He takes the “weight” of the cross but we must still carry it. Even before we returned Sunday, I saw the fight among our students between being the Christian they know God wants them to be vs the Christian they are afraid to be. Peter, James and John saw the past, present and future of Christianity as a whole in this one moment. Jesus relates John the Baptist to Elijah because like Elijah proclaimed the coming of the Messiah in the OT, John the Baptist did the same in the NT. Jesus - The Old Testament and Prophecies fulfilled. Jesus told them not to say anything because he knew they did not fully understand what they saw. During retreats we often see the fullness of God and spend months trying to figure out how to apply what we learn. Let us remember that God still calls us to sacrifice our will for His. At Caswell we have seen a glimpse of what God has for our lives. Let us encourage each other to continue giving our time to read His word, serve His people and share His love to those who need to hear. Will you join me? Go to a room that you are not familiar with and have a friend rearrange furniture or set up an obstacle course. Cut out all the lights and have someone cut them on for one second then back off. Try to walk through the room only remembering that one glance. If you get scared or want some help ask for another quick flick of the light switch. Repeat as needed until you make your way through. Talk with each other about the importance of using retreats like DNOW as a “momentary” light of what God has for your lives. You may not comprehend everything at once, but by walking through the darkness with God’s word as a light you can navigate to where God wants you. We never like hearing someone say "This will only hurt for a little bit!" We would almost rather not to be warned and just let it happen because anticipation of pain makes us tense up. As a friend of mine says, "Get all twisted up!" God has done both with me. There are seasons in my life where I 'know" through God's Holy Spirit that a "strom" is coming. I pray, prepare and brace for the lesson I am about to be taught. At other times, without warning I am overwhelmed with troubles that were at the time unforseen. Either way, we can be grateful that God is in the middle of our troubles with us. Nothing touches us that He does not allow. He walks through life with us. That's a hard concept to master, the "Soverignty of God", especially when tough things happen like health scares, losing loved ones, financial hardships, stress, problems at work and relationships. Here is the nugget I have walked away with .. . Troubles seek to diminish our faith, God seeks to develop it. Let's not shy away from God for fear of being hurt but fear of not becoming ALL He has planned for us. 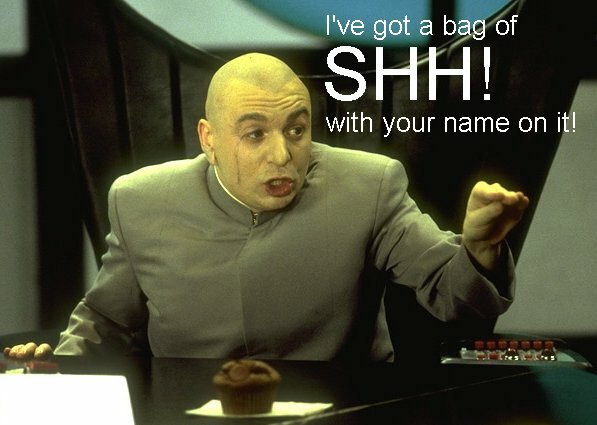 During a funeral I heard the preacher say . "This person lived a fulfilled life, not just a full one." That statement began to resonate with me as I started to wonder if someone would be able to say that about me after I leave this earth. Eagles are often seen as a symbol of strength and peace. 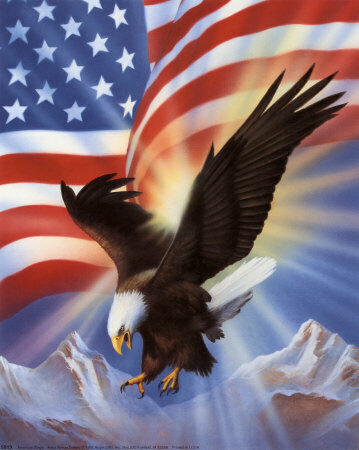 Our American heritage includes the likeness of eagles in our monies, flags and statues. The Bible also uses the eagle analogy to encourage believers to "renew their strength in times of weakness." WE CAN FORGET: We take for granted the fact that God is everlasting. He created us and knows exactly how we are wired. He even knows when we are weak. HE NEVER GETS TIRED: There are times when people have drained my energy and to be quite honest I'm sure I've done the same to them. It's great to know that God never gets tired of me, even amongst my shortcomings. WE CAN BE STRENGTHENED: I have had those days where it seemed like my strength was being zapped. You know, a day where you are busy every minute but seem to be accomplishing nothing. I can remember talking with God and saying, "God, You're going to have to take this from me." I'm not asking Him to take one great burden but just the stress from everyday things. There's no great cross to bear, just the daily grind. Here is what I realized. The days I have where I feel like I accomplish nothing may just be the days where God accomplishes the most through me, quite frankly because I am moved out of the way. Ironically, I can't take pride in accomplishing tasks when it's done in His strength instead of my own. That's hard for the old ego but great for His kingdom. I would much rather people experience God's strength through me, rather than me on my own. FALLING IS PART OF THE PROCESS: Some of my greatest lessons have come at the expense of my pride and convenience. It is in those weakest moments I feel God's arms supporting me the most. HOPE IS ALL WE HAVE TO HOLD ON TO: Hope does not mean that we throw rocks up in the air and "hope" one doesn't hit us on the way back down. Hope is about trusting that God will do what He says He will do. What His word (The Bible) promises us. 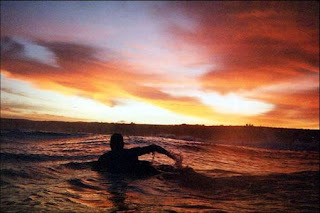 Much like a surfer that paddles and waits for the right wave, we must position our lives in such a way to "expect" the wave of God's strength to come. Hope is a verb not a noun. It requires action and expectation. God proves Himself to us everyday through hope. I pray that you will find God's strength today. God doesn't always take away our problems, but He surely can give us the strength to soar above them. Peace be with you today and hold on to hope. 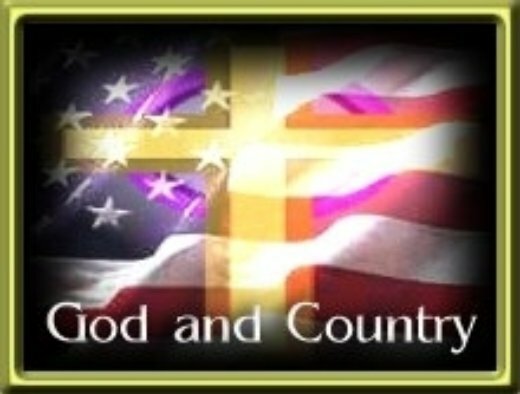 Is "God and Country" our Golden Calf? I received this message from a friend that got me thinking. I thought I'd share it with you:"James, is it me, or am I crazy. 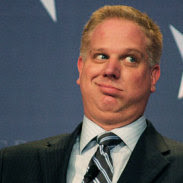 I made a comment recently about being concerned about what Glenn Beck is doing. The yoking together of all these religions with Christianity is wrong. All of these religions have their own gods....none of which is JESUS. Other than the Mormon religion of Beck's, all of them are anti-Christian, but then we all know that Mormans are Jesus plus.....Jesus plus Joseph Smith and The Holy Bible plus The book of Mormon. I was watching his show Thursday (yesterday) and he was actually saying that if you do your homework, if you study, and you come to the decision that there is no God...then that is ok for you. It makes me want to spit!! I think it's time Christians stood up for what they know is right!! It's not gonna be popular, but we must do it. The Bible warns us of false prophets. People will want to hear what "Their" itching ears want to hear. 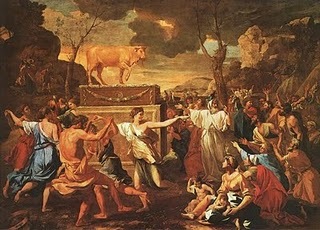 (2 Timothy 4:2-4) I am reminded of the Golden Calf during the receiving of the 10 commandments (Exodus 32:1-3). God did not answer in their time frame so they created their own god. That is because we are wired for "worship" even if it's the wrong things. In a way, the concept of "God and Country" has become our Golden Calf. Yes, we do need to stand up in humility with a servants heart to share the true God that so many misrepresent and miscommunicate. I am reminded of the fact that regardless of what our partisanship is, God places our rulers over us whether they are Christians or not. They deal God's blessings and judgement upon us. Colossians 1:16 "for through him God created everything in the heavenly realms and on earth. He made the things we can see and the things we can't see—such as thrones, kingdoms, rulers, and authorities in the unseen world. Everything was created through him and for him." God still moves in the heart of His believers and His hand is still upon us. Be encouraged and continue to spread His real message of the gospel. (Jesus being born of a virgin, living without sin, dying for our sins, and bringing us back into a relationship with God our creator). The Question Is Not If, but When? 1 But now, O Jacob, listen to the Lord who created you. O Israel, the one who formed you says, “Do not be afraid, for I have ransomed you. I have called you by name; you are mine. 2 When you go through deep waters, I will be with you. When you go through rivers of difficulty, you will not drown. When you walk through the fire of oppression, you will not be burned up; the flames will not consume you. 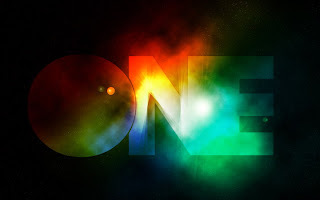 3 For I am the Lord, your God, the Holy One of Israel, your Savior. I gave Egypt as a ransom for your freedom; I gave Ethiopia[a] and Seba in your place. 4 Others were given in exchange for you. I traded their lives for yours because you are precious to me. You are honored, and I love you. 5 “Do not be afraid, for I am with you. I will gather you and your children from east and west. 6 I will say to the north and south, ‘Bring my sons and daughters back to Israel from the distant corners of the earth. 7 Bring all who claim me as their God, for I have made them for my glory. It was I who created them. When storms come into our lives, God has promised over and over in His word that He will be with us. Nothing touches us that God does not allow or equip us for. God brings us through storms to teach us dependence on Him. Really, would we see a need for God if our lives were perfect? There have been times where I wanted to leave God and He has proven that He has NEVER left me. I am stronger (not perfect) from the storms I have endured and know beyond a shadow of a doubt that more will come along. The question is not if, but when. I constantly hold on to "When you go through deep waters, I will be with you. When you go through rivers of difficulty, you will not drown. When you walk through the fire of oppression, you will not be burned up; the flames will not consume you. 3 For I am the Lord, your God".